12.6" x 12.6" stitched on 14 count. 9.8" x 9.8" stitched on 18 count. 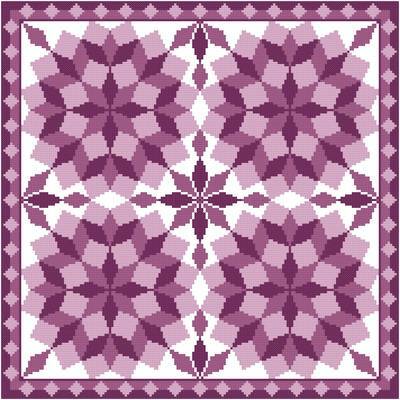 Jumbled Tumbling Blocks cross stitch pattern... Use any 3 noticeably different colors. The tumbling blocks are aligned to form round images. The 4 main images are joined and the border compliments the design. Design is reminiscent of a real quilt.